AllegroMedical.com presents The Comfort Audio Duett New Personal Listener 30" Neckloop. 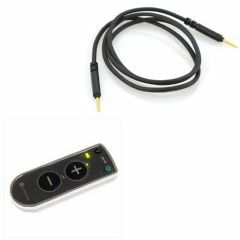 This Comfort Audio 30" neckloop requires the Comfort Audio Neckloop Adapter piece and Neckloop Connector (sold separately) to enable you to use the Comfort Duett Personal Listener with t-coil hearing aids. Designed for the Comfort Duett Personal Listener model with large volume buttons (sold separately).